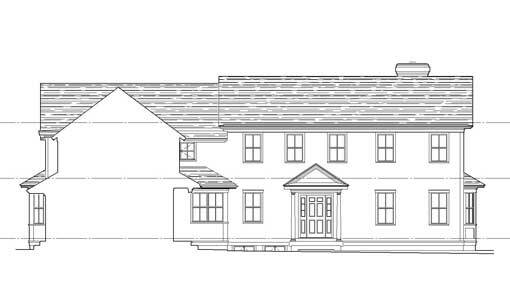 This is a rare opportunity for a new home to be designed in the historic district of Lexington, MA. The original structure was destroyed by a notorious natural gas explosion that resulted in a devastating fire. Fortunately, no serious injury resulted but the home was a total loss and the owners sold the lot to the family that commissioned Incite to create a new home for them on the small vacant lot. The immediate neighborhood, all within the jurisdiction of the Historic Districts Commission, is a mix of neoclassical styles. 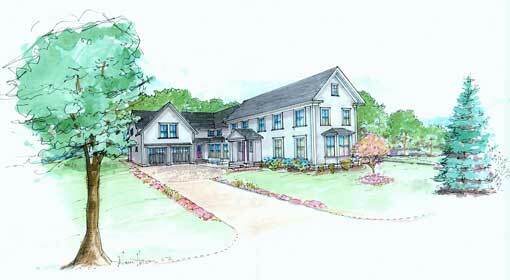 There are variations on colonial, mansard and victorian homes all sited on fairly small lots. 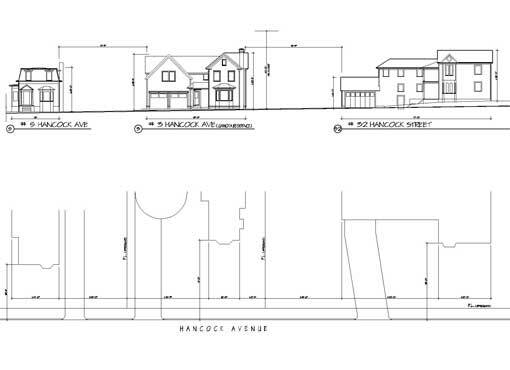 The lot we were given is 71.5 ft. wide by 155 ft. deep. Incite’s solution was to model our design on a village colonial, creating a tall, narrow facade to the street and leaving room to one side for an entry-court driveway and garage to the rear. 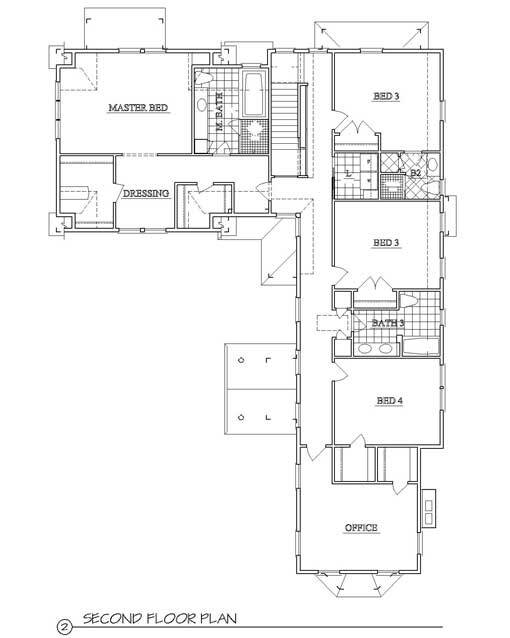 The ground floor plan is very straightforward with two formal rooms to the front and an open plan to the rear. Placing the entry to one side allows for efficient circulation with less hall space than entering from the street. Locating the stair in the informal rear of the house also provides for more efficient circulation and helped to satisfy the client’s modern sensibilities. The house massing and detailing are also more formal at the front with a reduction of scale and historic rigor towards the rear.